While in New York City, I took the opportunity to meet up with a couple of acquaintances at the Council on Foreign Relations to get the establishment pulse on President Trump, his policies and the economy. Not surprising, CFR people are not very impressed with Trump. 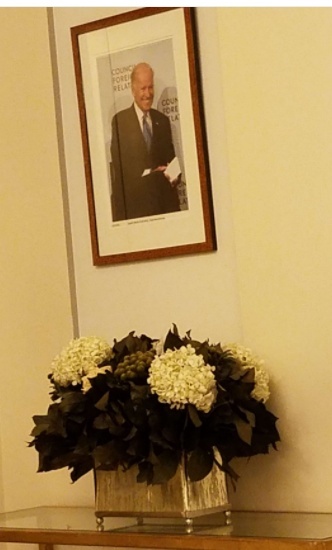 Indeed, when you walk into the CFR offices, you are greeted with a portrait of Joe Biden. 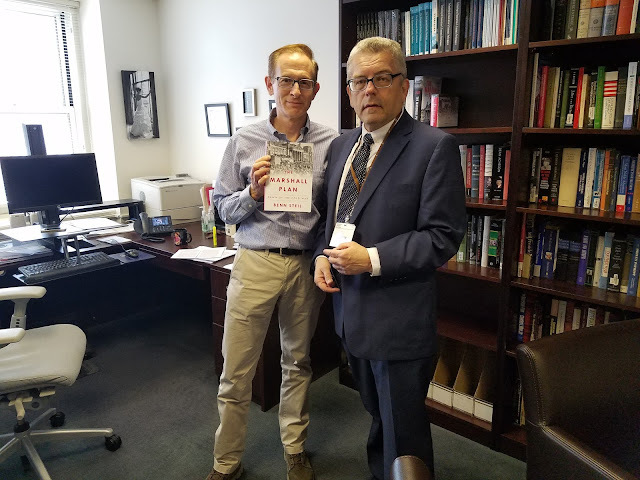 Among those that I met up with was Benn Steil who is senior fellow and director of international economics at the CFR. He has a new book out, The Marshall Plan: Dawn of the Cold War. I haven't read it yet but his previous book, The Battle of Bretton Woods: John Maynard Keynes, Harry Dexter White, and the Making of a New World Order, was excellent. It was well researched and well written. Benn tells me that he thinks this is an even more important book. The reviews to date have been very positive.